Thomas Pitz, a.k.a. Mr. Jefferson, is a resident of beautiful Orange County, the heart of historical Virginia. With Virginia being the home to former presidents Jefferson, James Madison, James Monroe and Zachary Taylor, the Piedmont of Virginia serves as a natural spot for Mr. Pitz to call home. 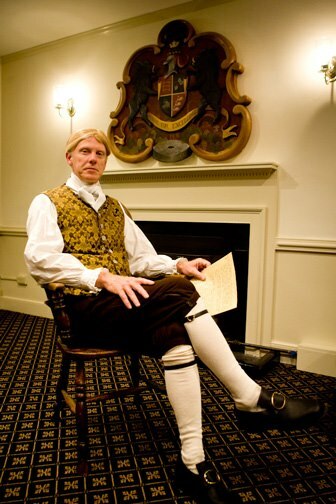 Long an aficionado of Revolutionary Era history, Mr. Pitz has been performing as Mr. Jefferson since 1987. He has amassed a list of clients that ranges from corporate executives and medical faculty to elementary school students. He considers it an honor and a privilege to bring one of America’s greatest historical figures back to life.